So Palm smartphones and the TouchPad tablets are too much of a risky distraction for HP and they are cutting their losses. Understandable for HP’s overall strategy and stakeholder interests, but a great shame. Maybe someone else can take those brands (and the associated patents) forwards? Around 10 years ago HP acquired the once great Compaq brand. As you might expect, the brand was diluted inside HP, and although the PC business is sound and generates a lot of revenue, it’s not as profitable as other parts of HP. HP are doing something similar to IBM when they sold off their PC business to create Lenovo out of China. However, I cannot quite fathom why they would signal their intention ahead of finding a buyer. I agree with the strategy, but not the execution. There are even headlines like “Leo Apotheker Has Totally Lost Control Of HP“. I’d go to Robert X. Cringely’s “Losing the HP Way” post to get a fuller history and context of the Hewlett-Packard company – one of the industry’s greats – but I disagree with Bob’s conclusion. They haven’t lost their way, they are re-focusing on their core business. I was in IBM in the 70s and 80s when it lost its way because it had its fingers in too many pies, too many market sectors and tried to act as market leader in all of them. Leo will let someone else make a success of that PC and tablet business and narrow the focus of HP back to the Enterprise. Go take a look at Dennis Howlett’s analysis and specifically his review of the numbers. That’s what it’s all about – the natural laws of marketing added to the financial numbers. 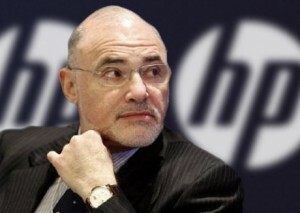 HP haven’t lost their way – they’re making some painful decisions to get themselves refocused – apart from not finding a buyer for the PC business already I, for one, think Leo’s on the right track.